"To the free Africans and other free people of color in the United States. The convention of deputies from the abolition societies in the United States, assembled at Philadelphia, have undertaken to address you upon subjects highly interesting to your prosperity ..." Theodore Foster, President. 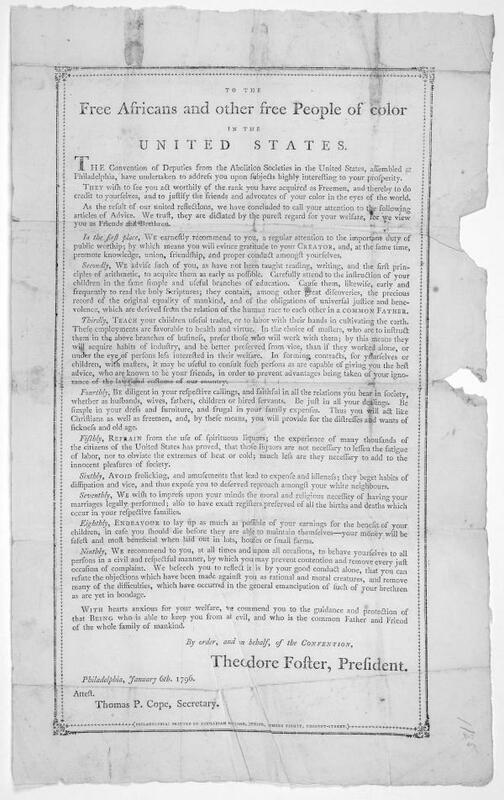 Philadelphia, January 6th 1796 ... [Philadelphia: Printed by Zachariah Poulson, Junior, Number eighty, Chestnut Street. 1796].